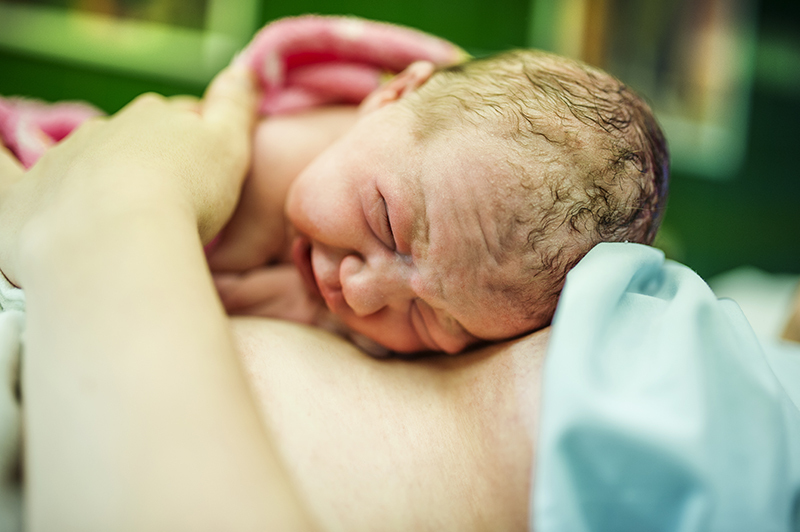 Injuries commonly occur during the birthing process. The most common injuries are scrapes and bruises. These heal quickly and normally don’t require any treatment. Some babies fracture their collar bone. This causes pain when moving the arm on the side where the fracture occurred. This fracture may be diagnosed in the first 1-2 days of life, or noticed at the 2 week checkup when a lump forms at the fracture site. Typically, this kind of fracture is mostly healed by 2 weeks of life. The best treatment for collar bone fracture is to keep your baby swaddled and don’t raise that arm above their head. Your baby may have a lot of swelling on the scalp. This can be simple swelling (caput) or may be blood under the scalp (cephalohematoma). Both conditions normally resolve by 2-3 weeks of age, but sometimes a cephalohematoma can take much longer to heal.